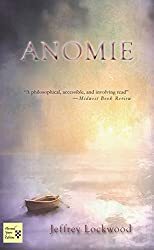 About the Book: Anomie is a uniquely told story of Michael, a Native American, middle-aged university professor and writer. After a series of tragic events, he seeks closure through myriad experiences, in order to bring balance to his world. About the Author: Jeffrey Lockwood hails from Michigan's Upper Peninsula, and is a member of the Chippewa tribe there. 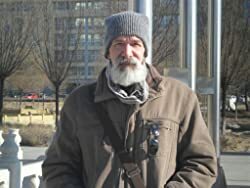 He is the author of In These Low Mountains (March Street Press), a chapbook of poems and short stories, and has several other poems and short stories published in print. Jeffrey has lived internationally for many years, as a soldier, Fulbright Scholar, Peace Corps volunteer, and teacher. Presently, he writes in Hohhot, Inner Mongolia (Huhehaote, Nei Mongol). Anomie is his first novel. 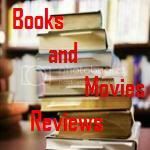 My Review: The story is about an american professor who feels lost in his life after the death of his love. He feels that he does not really belong anywhere. He isolates himself from the world he knows and end up moving to China, trying to have a new beginning in his teaching career and love life. Some symptoms of schizophrenia shows up and at the end he finally discovers where he belongs and embraces it. Some flashback stories are made known, from his youth. This is a very well written book that works with the psychic of the main character (Michael) in a very realistic way. You feel like you are living his story, his agony, his search for a purpose in life. Very well constructed environment, this book will keep you entertained for hours. Excellent effort and surprisingly just the first novel of this author. Hopefully there will be more!